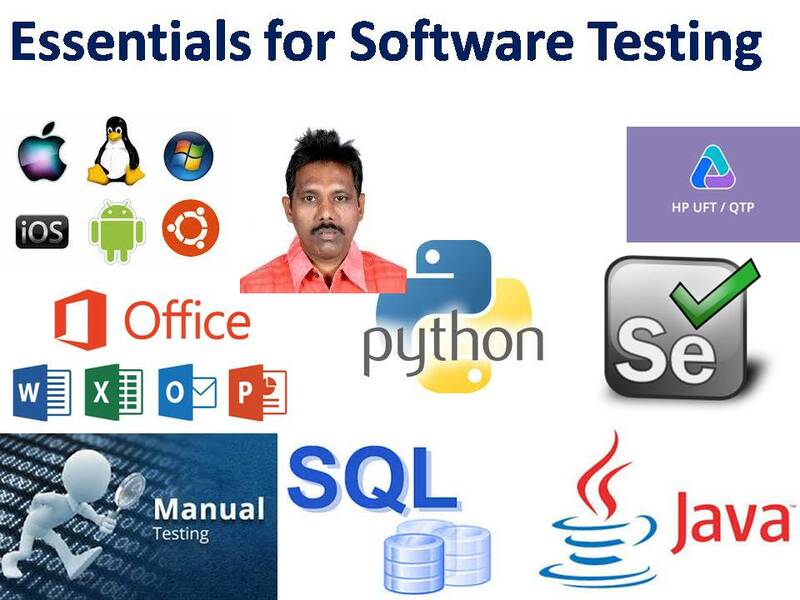 It is essential for Software testers, we have two major families of operating systems in the IT Industry. Now a days all are familiar with Windows Operating System, but some only familiar with UNIX. UNIX OS is an added advantage for Software testers. Learn MS Word and MS Excel, MS Power point and MS Access are optional. If you find any opportunity to learn Start Office or Open office try to learn, but they are optional. Start Office or Open office are used on UNIX Operating System. SQL was developed by IBM in 1970’s and It is common for all types of Databases. SQL knowledge is important for communicating with databases and for conducting Database Testing. It is an essential for Test Automation or Automated Testing, In Test Automation we use programming (Ex: We use Java or C# or Python or Perl or PHP or Ruby in Selenium and VBScript in UFT / QTP) for enhancing Tests. Note: It is not mandatory for Manual Testing. Now a days most of the Software Applications are Web based applications (Computer Web Applications and Mobile Web Applications), in order to conduct Web Testing web environment knowledge is more important for Testers. Domain knowledge is mandatory for Software Testes in order to understand the Application Functionality, you must familiar with at least 2 or 3 domains.